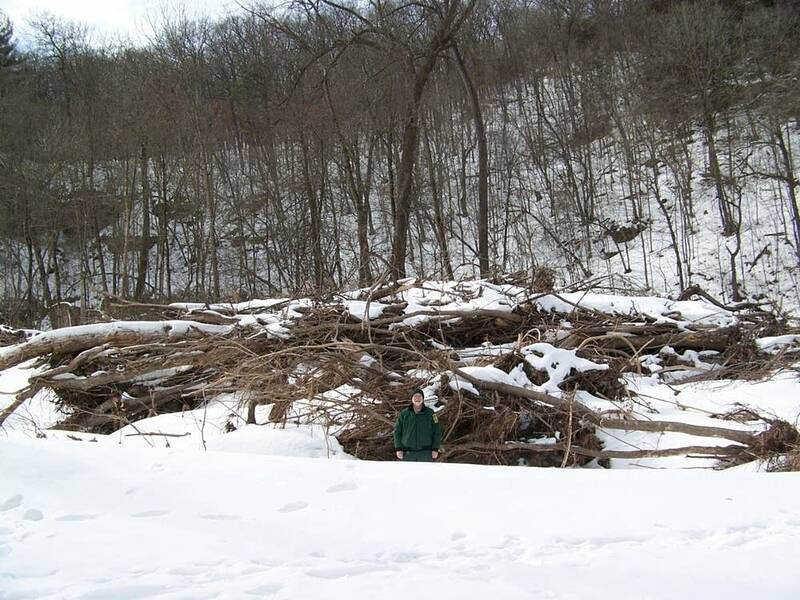 Park naturalist Dave Palmquist stands on what looks like a snow covered walking path that leads to the edge of the Middle Branch of the Whitewater River. It's actually a road that broke off in the flood. He points at two parallel channels in the river. "Below us here, it used to bend right off to the southwest side of the river channel and underneath a bridge over there," Palmquist said. "And the bride is still there." He squints at a few concrete piers peaking from underneath the snow. "That bridge is intact. And it's still in its original location, but it's no longer over the river," he said. The channel moved 100 feet. Palmquist said the beauty of a flood like this one is that it scrubbed the river clean of sediment. But the flood took more than sediment. Palmquist says the flood may have killed some of the park's several threatened species, including the timber rattlesnake. 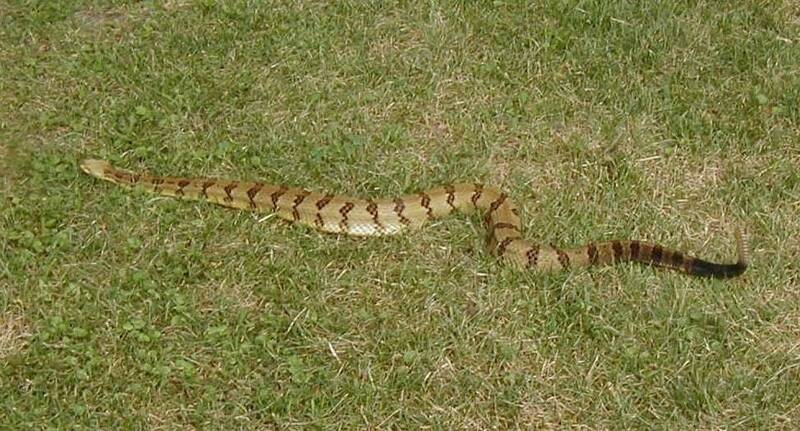 "We know that most of he timber rattlesnakes spend most of the summer in valley floors, and it is in the last half of August they start moving up the slopes where they hibernate," he said. "So, August 18th and 19th, were they on the valley floor or were they moving up the hillsides? We don't know." Palmquist hikes over to a bluff. The snow is so deep Palmquist complains he needs snow shoes. There are three inches of water packed away in this snow. 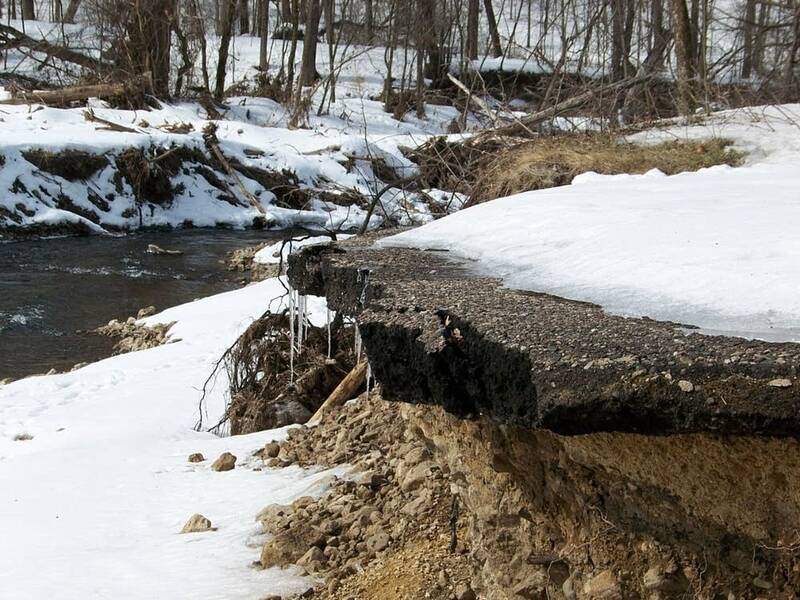 If the snow melts too quickly, that could lead to more damages, including landslides. The park had at least 15 landslides. Palmquist looks up at one of the largest. It's 100 feet high by 50 feet wide. This one took place on an algific talus slope, a rare habitat. In a talus slope, a kind of permafrost forms in the caves within the limestone. "As you might expect at the mouth of those caves above these slopes, you have a very cool moist environment, a little micro-climate that has allowed certain types of plants and animals to remain," Palmquist said. Three types of plants and one thought-to-be extinct snail were all living in that slope during the flood. Two-thirds of the trout population went with those uprooted trees and landslides. Trout feed on invertebrates, and most of those were wiped out, too. Palmquist said nature has awesome powers, but the floods of last August weren't natural. "Research has shown that wooded areas in southeast Minnesota can absorb a 9.79-inch rainfall in one hour," he said. "And so what this says to me is that very little if any of the water that came through Whitewater State Park and had such great impacts actually came from the park." At Whitewater, 12 inches of rain fell in 24 hours. Most of what flowed into Whitewater was agricultural run-off. Seventy-five percent of the land above the park is cropland. 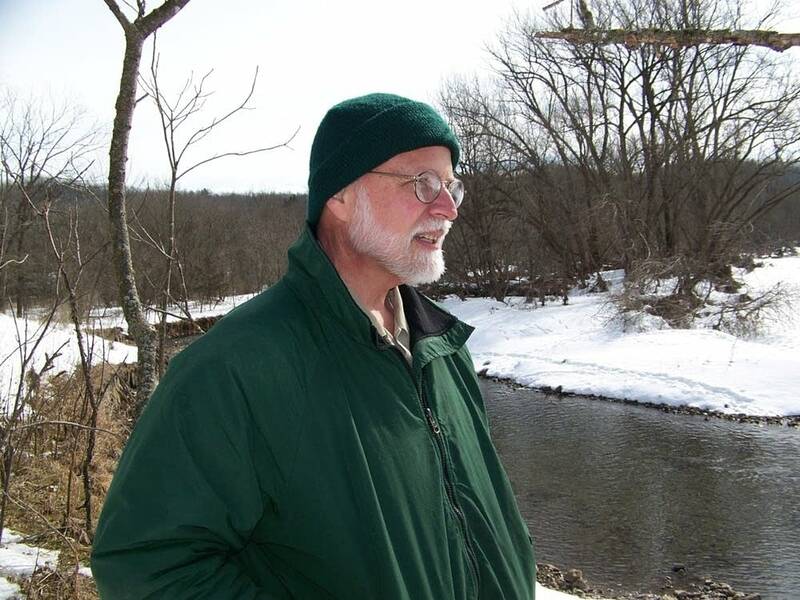 Hydrologist Paul Wotzka said that type of land use actually encourages run-off. Wotzka, who until recently worked for the Minnesota Department of Agriculture and the state's Pollution Control Agency, has studied the Whitewater for years. He said the fine black soil on top of cropland works like a seal against water. 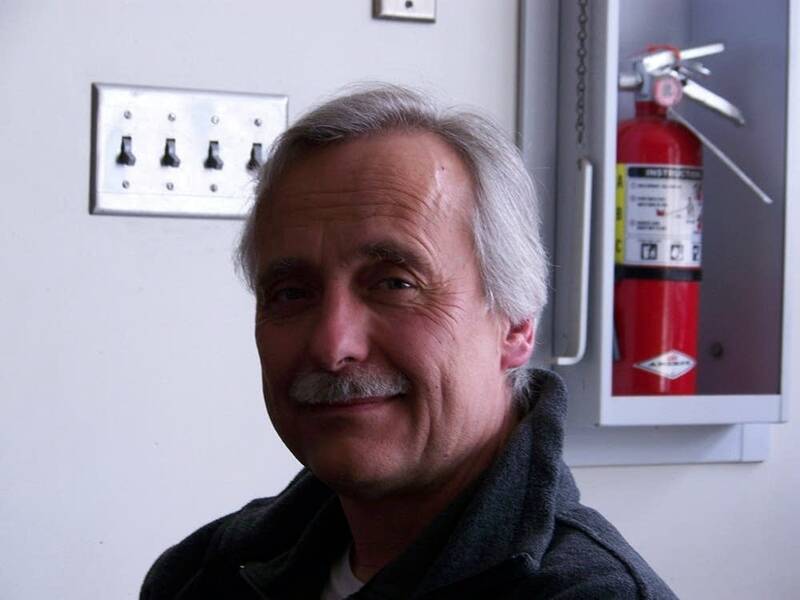 Wotzka says to prevent run-off pasture lands and woods need to buffer the corn and soy. But those lands are shrinking. "We're seeing some prices that make it attractive for farmers, financially speaking only, it's not worth it for me to have those lands for wildlife or for conservation. I'm going to grow corn. And that is what is happening today. So we're going on a path towards increasing run-off, increasing the amount of pollution in our streams," Wotzka said. Whitewater has flooded as long as it's been farmed. In 1938, part of the park was a town called Beaver. That year, Beaver flooded 28 times largely because it had been deforested and row-cropped. The region flooded several times in the 1970s, and the woods and the waters recovered. Wotzka said it looks like the trout and the invertebrates in the Whitewater will recover this time, too. But, he added, there are some differences between today's floods and those of the 1930s and 1970s. Today, the rivers have three times the amount of pollutants in them. "The streams here have been reset. We've had a tremendous flood," Wotzka said. "But there is a tremendous life force to say we really want to take advantage of this cold clean water." Anglers may be the first to see what chance for recovery this habitat has. The park opens to catch and release trout fishing on April 1st. Sea Stachura has reported from Minnesota Public Radio's Rochester bureau since 2005.